Fowlsheugh is a fantastic place to visit for any bird watcher! If it isn’t already on your list, then you should certainly add it. The noteworthy building is protected by the RSPB who allow visitors in for free, yet ask for donations so they can continue their fantastic work with the birds in the local area. Whether you’re an established birdwatcher or an amateur, there is certainly a bird for you to spot here. Keep the address: Crawton AB39 2TP, UK safe! You can see a seabird cliff colony or even an impressive 130,000 breeding seabirds during summer and even spring. Don’t forget to pack your binoculars and then try and spot a puffin, fulmar, razorbills, guillemots and kittiwakes! We’ll be taking both our binoculars and our cameras up there soon! Fowlsheugh is open at all times, so no matter when you want to visit, you’ll be able to find shelter in the small building, which is certainly worth a visit, and spot those birds! However, make sure to keep your dog on a lead. Don’t forget to send us your photos but also make sure to make a donation. 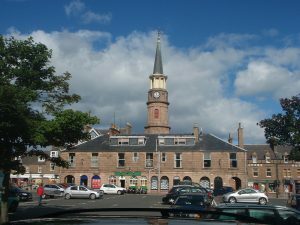 And, after you’ve visited, don’t forget to send us your opinions – we love to hear what our readers think of Stonehaven.